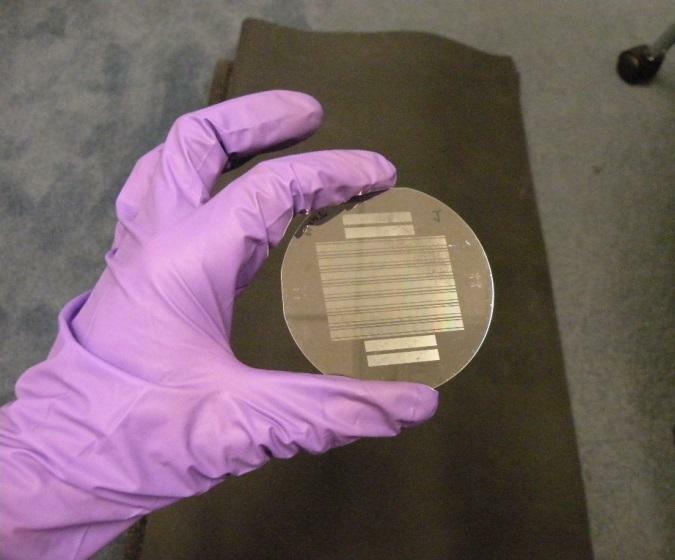 Periodically-Poled Lithium Niobate (PPLN) Frequency Converter Devices | PSI - Physical Sciences Inc.
We produce periodically-poled lithium niobate (PPLN) jin two forms: as a bulk crystal with a thickness of up to 1 mm, and as a waveguide device. Bulk PPLN crystals are tailored for the production of tunable mid-infrared radiation through pumping by commonly-available lasers with wavelengths near 1 µm. Bulk PPLN devices can produce several W of average power between 2 and 4 micron. Waveguide frequency converters are fabricated by forming channel waveguides in the PPLN device, thus produced allow input radiation to be confined to a beam diameter of several µm over a path length of 50 mm. This makes possible efficient nonlinear optical frequency conversion using lasers with peak powers in the 100 mW range, including semiconductor lasers used for fiber-optic and free-space telecommunications.